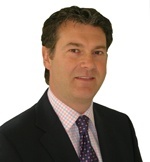 Our principal Director Jack Campbell is a Chartered Surveyor and has worked in the commercial property market in Scotland for over 25 years, specialising primarily in the retail & leisure sector. Prior to setting up JH Campbell Property Consultants he was a Director with Colliers CRE, who in 2003 bought the niche retail consultancy firm of Fisher Wilson of which he was one of the founding Directors. Jack is a recognised retail & leisure agency specialist with extensive experience in the shopping centre, high street, roadside, foodstore, retail warehousing and trade counter sectors, where he provides acquisition, disposal, leasing, development, investment and asset management advice. He has acted for key landlord and developer clients including: Fintry Estates, M&G Investments, British Land, Gallagher Developments, Buccleuch Property, Forth Ports, Drumcarron Properties, Macdonald Estates, Deanway Development, LCP, Bank of Ireland and Consortium Investment Management. On the occupier side Jack has acted for Aldi, Tesco, Co-op Food, Co-op Funeralcare, Peacocks, Omnicare Pharmacy, Ladbrokes Coral, Travis Perkins, Benchmarx, Domino’s Pizza, CCF, Harveys, Currys, PC World, PTS, Bonmarche, Keyline and CJ Lang/Spar.